Holiday decorations tend to make their way into the workplace and employees' workspaces this time of year. What an employer allows in terms of decorations in the workplace is up them, but they should not discriminate and should be consistent and reasonable with their policies. Organizations need to be particularly careful with religious decorations, however. Refusal to accommodate an employee who wants to display a religious holiday symbol or decoration to commemorate a holiday should be considered very carefully as these can be minor religious accommodations that are protected under law and generally acceptable. Additionally, according to the EEOC, holiday decorations should not be avoided just because someone objects to them, but organizations should ensure that all holiday decoration displays are reasonable and non-disruptive. While employees are not entitled to holiday pay under law, the vast majority of companies customarily pay employees for some holidays, namely Christmas Day and New Years Day. Many employers also provide holiday pay on Christmas Eve and New Year's Eve. Make sure that your holiday pay practices are fair and competitive with what other companies provide. Holiday pay also is regulated under the Fair Labor Standards Act (FLSA). 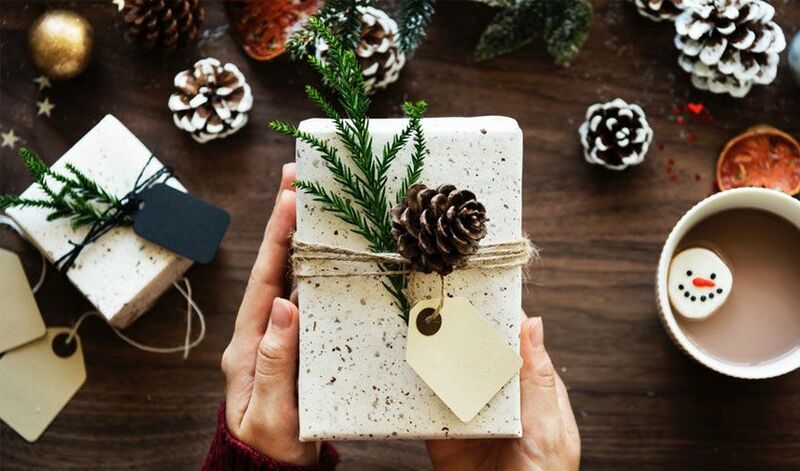 Under FLSA, employers cannot dock exempt employees' salaries for the holidays, but employers are not required to pay non-exempt employees for holidays. Organizations also do not have to count paid hours as hours worked for purposes of determining overtime entitlement, or pay overtime/other premium rates for holidays (though they typically do as a best practice). In addition, with regard to FMLA, if an employee is out on an extended FMLA leave and will miss the entire week of work, the company is not obligated to pay the holiday (unless the policy states otherwise). But if they are out on intermittent leave and do work any day within the week, it would need to be paid. For FMLA, holiday pay is determined by company policy. The holiday season is a more casual and lighthearted time in the office, but as a result, professional boundaries are more likely to be crossed. Review appropriate professional conduct at workplace events, such as holiday parties, with employees. SHRM reveals that over one-third of U.S. employers report employee misconduct at holiday parties which could potentially lead to liability. That being said, try not to create circumstances that lead employees to behave poorly. For example, evening holiday parties paired with no limit on alcohol consumption carry a higher risk for misconduct. In addition, discuss your company's gift-giving practices, especially between employees and customers, managers and employees, and coworkers. Employees should be informed that gifts must be workplace appropriate. And, definitely do not encourage the giving of gag, humorous, or other inappropriate gifts. Mandating attendance at a company holiday party makes it an obligation and also carries some legal risks if an employee is uncomfortable with the holiday being celebrated. Allow employees to choose whether or not they attend, particularly if it is after-hours. Some employees will not be interested in attending and that should be acceptable, provided that it does not serve a business purpose. Don't penalize employees for not attending the holiday party. Requiring an employee to attend a company event after or during work hours may also mean that they will need to be compensated for their time under FLSA, if applicable, which can be commonly overlooked. Last but not least, it's the end of the year, projects are winding down, and attendance, tardiness, and general productivity typically can be issues at this time of year. Some employees will inevitably come in later, leave early, shop online at work, and engage in other misuses of company time. Helpful reminders about related company attendance and performance expectations, policies, and practices, allowing flexible work arrangements, and providing time off around the holidays are useful in reducing these types of problems. The holidays are a ripe time for the compliance and HR concerns described above, so be sure that your organization is prepared and ready to handle them should they arise.